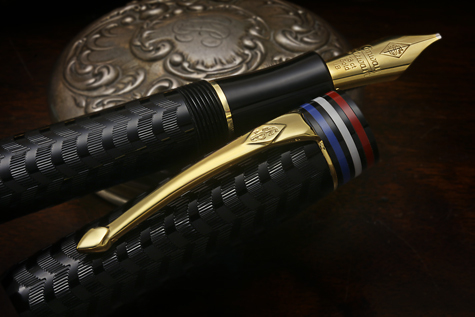 Delta’s award winning pen makers bring generations of experience to create prized writing instruments for the world’s most demanding writers and collectors. 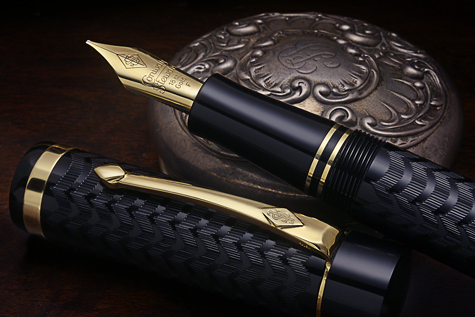 This experience in collaboration with the design team at Chatterley Luxuries has brought forth excellent user and collector grade fine Italian writing instruments. 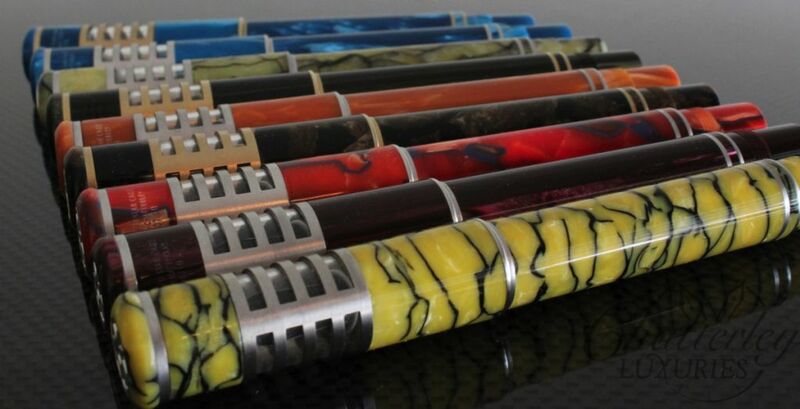 This collection reveals several different colors in a variety of resins and celluloids. 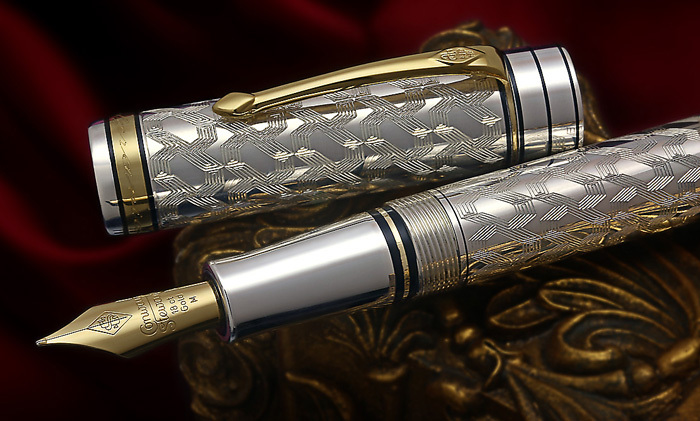 The pen profile was based on the same shape and size as the Delta Momo 30th Anniversary Limited Edition pens. The caps feature a window showcasing the nib and creating the Vista effect. 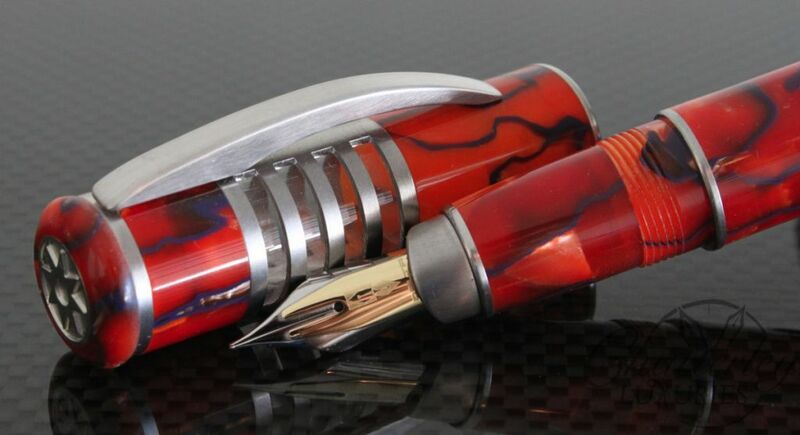 Additionally the pens are numbered on the cap opposite of the clip on the back and the blind cap is removed to reveal the access to the piston. 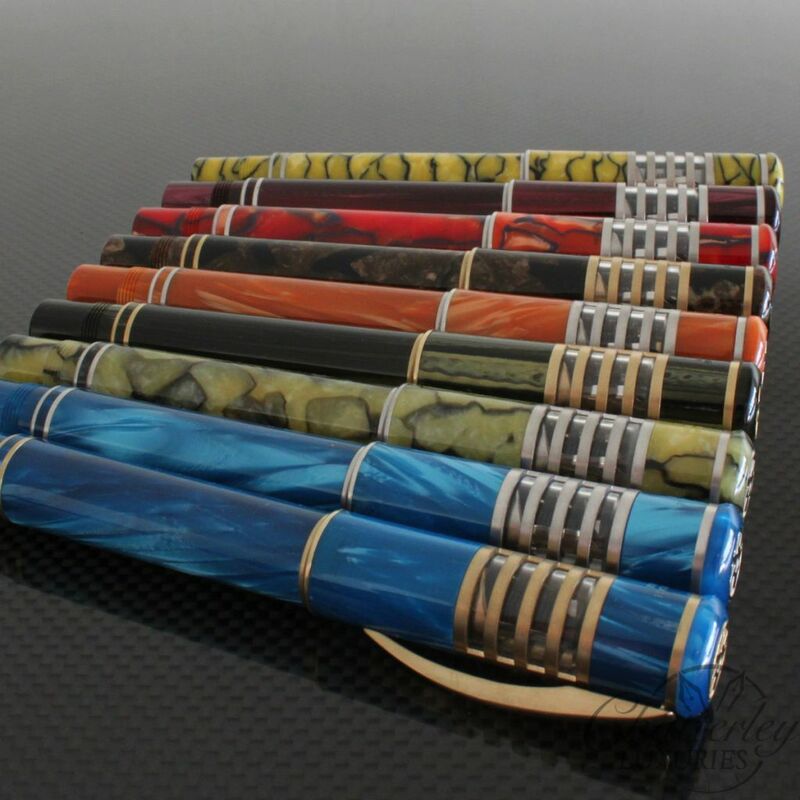 All of the pens in this collection are fitted with a Fusion 18kt gold plated nib. They are equipped with Delta’s patented ratcheting piston filling system, which comes with its own proven track record as one of the best in the industry. As an added adornment these fine writing instruments have been fitted with a stately 8 pointed star, again in matching trim. 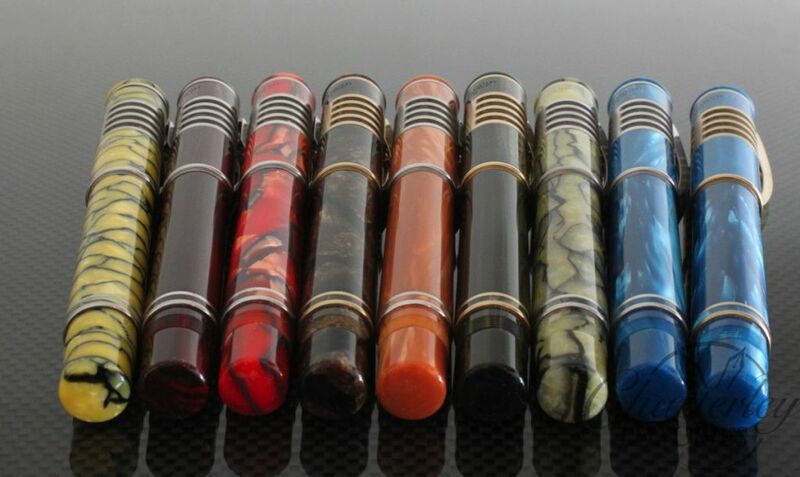 Chatterley luxuries has created this collection for someone who wants an excellent looking user pen as well as a desire to own a high quality unique fountain pen. With the high costs of Gold, Silver, Work and Material, we wanted to make something that would be appealing, but yet still affordable. And that’s where this collection comes into play. The price point of this collection is excellent, but does not compromise on material and craftsmanship. 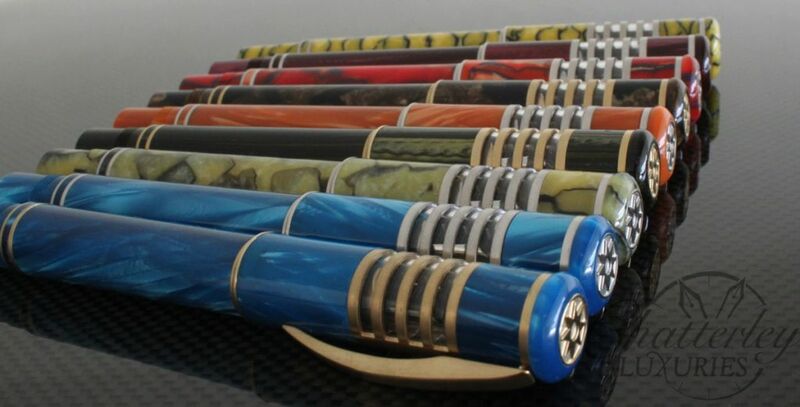 Designed by Chatterley pens and produced by Delta, and available in either EF, F, M, B, or Stub, Numbered to 8 Pens worldwide, the MSRP on the Stantuffo Star Cage Collection Resin Limited Edition Fountain Pen is $455.